Do we really need another recipe for pesto sauce? By this time of year, I’ve had it up to here with pesto. 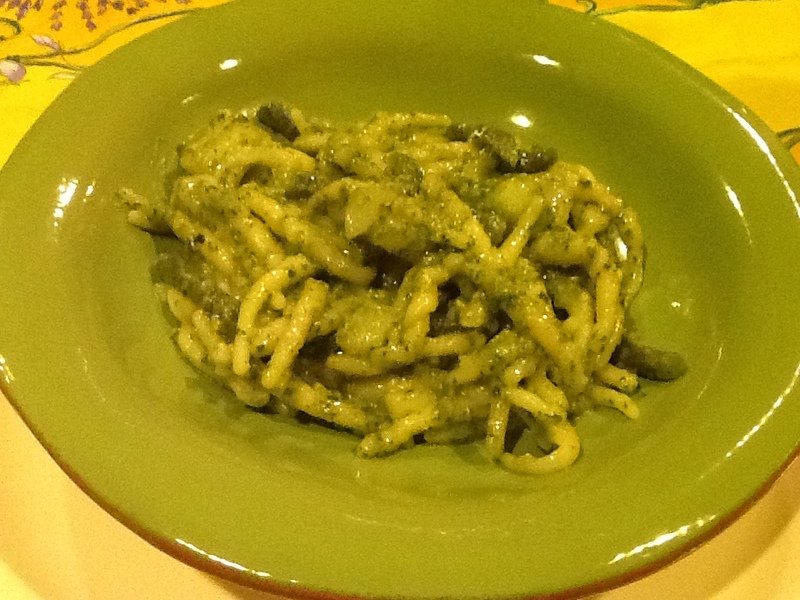 During the summer months, I always have large pots of basil growing on my deck, and I can’t resist whipping up some variation of a pesto sauce in a moment’s notice. Doesn’t everyone have a recipe for this by now? It’s been popular for the last three decades! 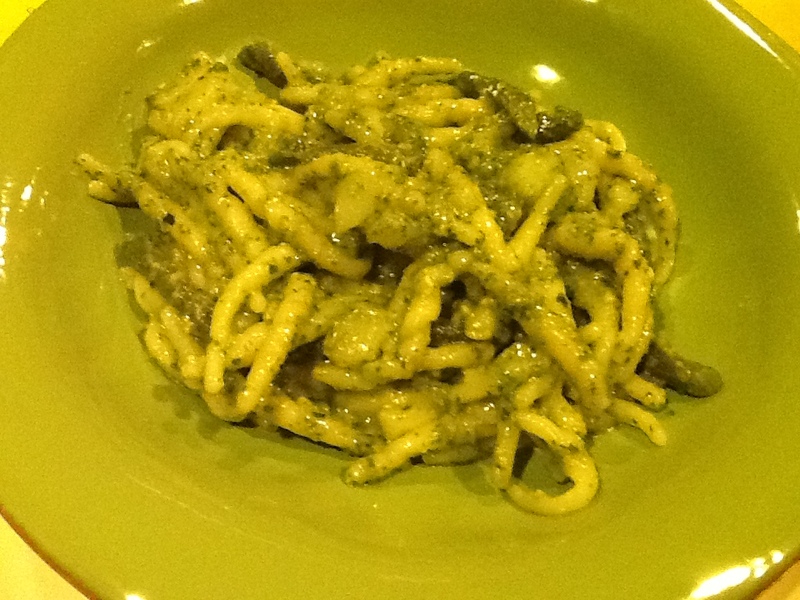 But every summer, I have at least one dinner guest leave my house with my recipe for pesto sauce. Honestly, it’s hardly a recipe at all. I throw some basil, garlic, pine nuts, grated parmesan and pecorino cheeses in a Cuisinart ( food processor) with a slow drizzle of olive oil. 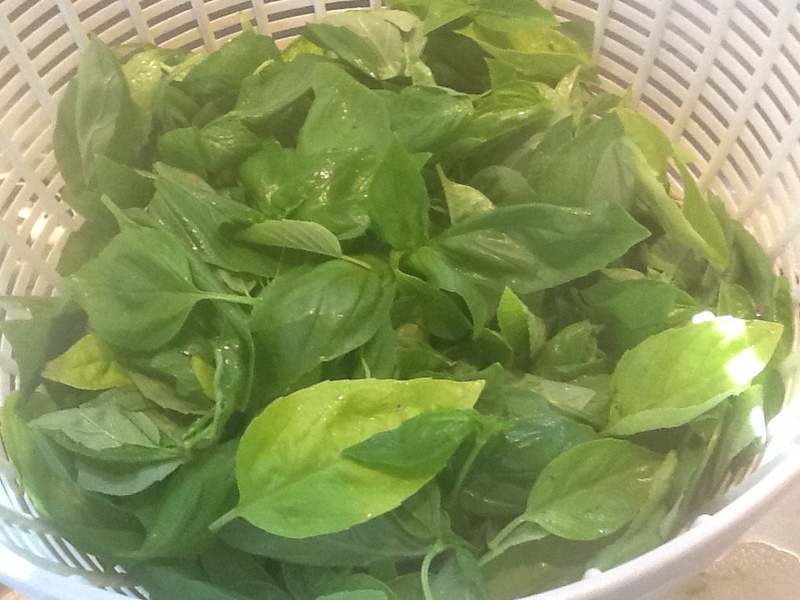 I never pay attention to the amount of each ingredient, and sometimes, out of boredom towards the end of the summer, I may add walnuts or use mint, arugula or parsley in addition to basil. It always tastes fresh and wonderful. Another way I change it up a bit, is to add potatoes and string beans, or as it is called “Genoa Style.” This summer, I seem to be stuck in a Genoa style mode. I’ve even been lucky enough to find homemade trofie, a delicate pasta shape, which is marvelous with this sauce. However, tagliarini or trenette are wonderful with this, as is almost any short, delicate pasta, such as a farfalle (bow ties) or penne rigate (penne with ridges). You need a pasta shape that will hold the sauce. 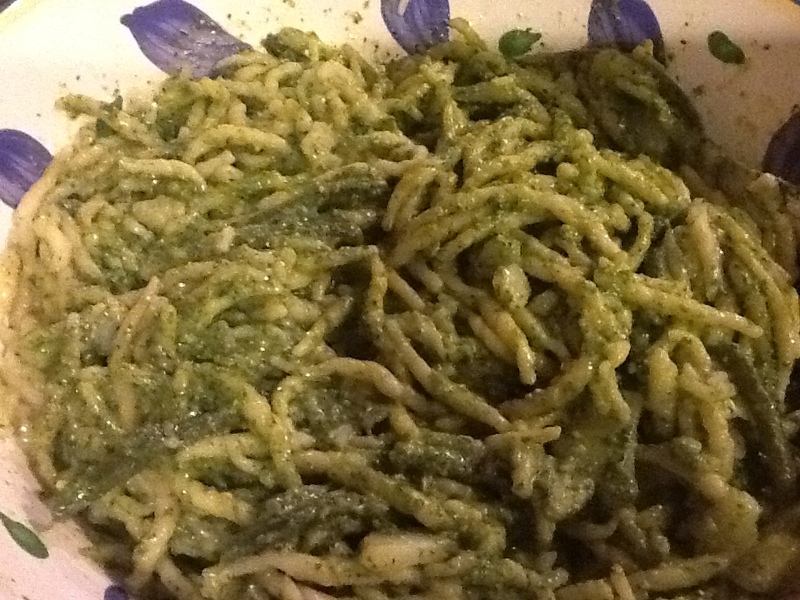 I wish I could put a halt on this summertime, pesto mania of mine. I do know that you can buy basil all year long in most supermarkets now, and sometimes (usually by around January I need a fix) I do. But there is something about walking past a pot of sweet smelling, beautiful green basil that makes me want to pinch off some leaves, inhale the wonderful scent and then run for the kitchen. I just can’t control myself! 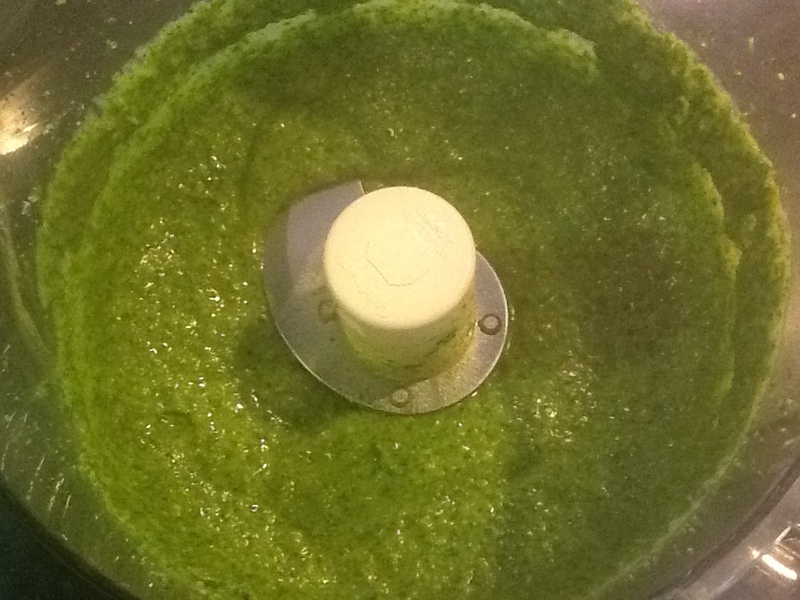 So if you’re in need of a recipe for pesto sauce or have never made it Genoa style, I have measured out everything for you. I remember, many years ago, measuring each ingredient with great precision, and I am a great believer in following recipes. But after you have made this 100 times or more, you too will start just throwing these ingredients into your food processor in reckless abandon, and turning out one wonderful dish of pasta with pesto sauce after another. I would love to hear if anyone has a tip for growing basil indoors during the winter months. I have never been successful doing this. If you do have some advice, please just leave it in the comment box. 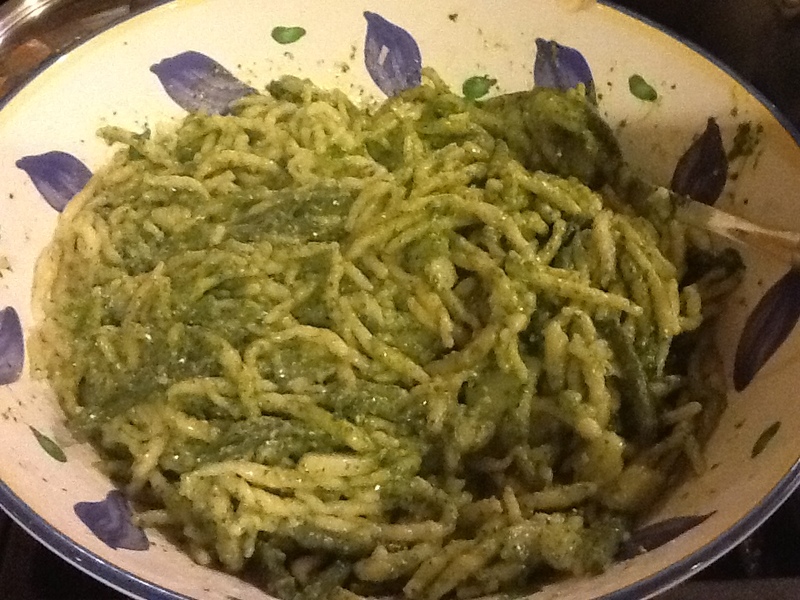 Pesto Sauce: will make enough for two pounds of pasta, but will keep in refrigerator were several weeks. Put a thin layer of olive oil on top before storing. 2 cups basil leaves, firmly packed. 1. Put the basil and garlic into the bowl of a food processor. Pulse several times, until finely chopped. 2. 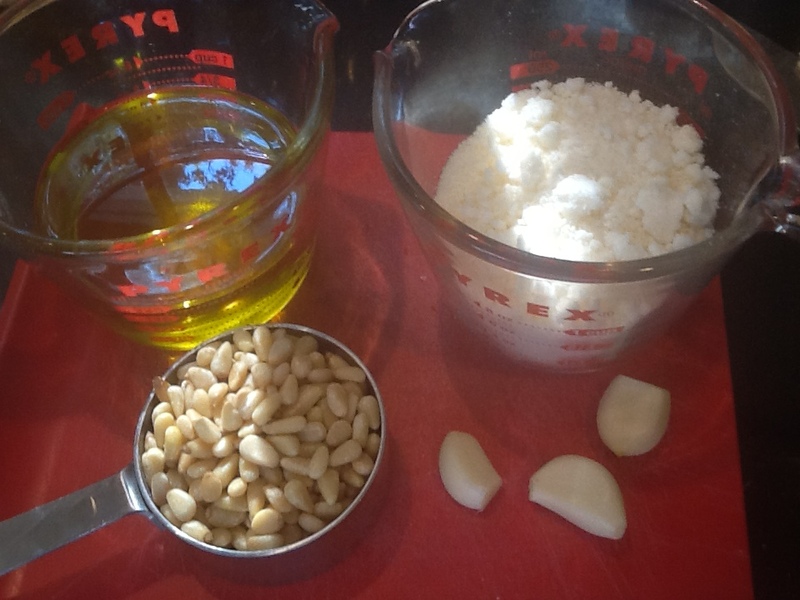 Add the pine nuts and cheeses to the processor, and repeat. 3. Once all the above ingredients are finely chopped, turn on processor and add the olive oil in a slow steady stream. Blen until nearly smooth, and then transfer to a bowl. 4. Bring a large pot of salted water to a boil. Add the pasta, string beans and potatoes. Cook until pasta is al dente and the string beans and potatoes are tender. 5. Drain, reserving 1 cup of cooking water. 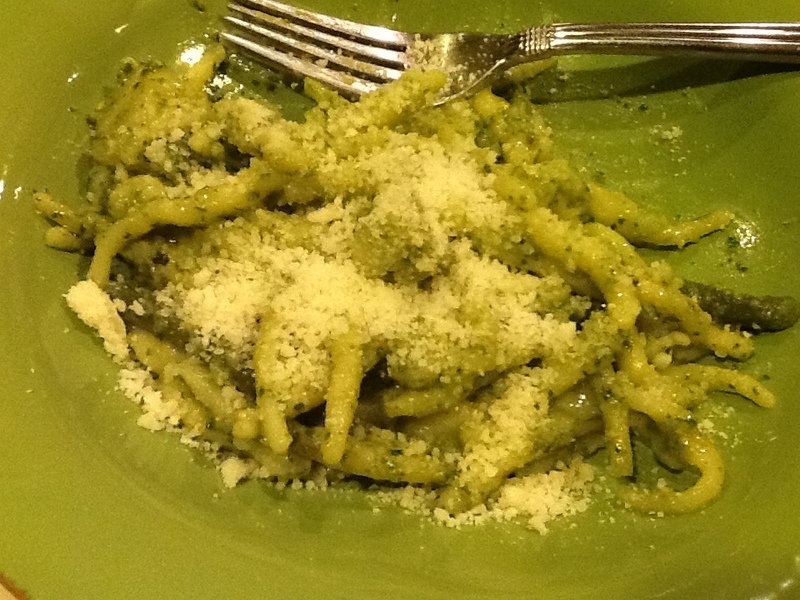 Add the pasta, pesto and butter to a serving bowl. Toss very well, making sure to melt the butter. Add a little of the reserved pasta water if it seems dry. Serve immediately. 6. You need not serve this with grated cheese, as there is so much cheese in the sauce, but I always do, as I am a cheese lover. It is totally up to you. *** A wonderful variation of this is to use arugula instead of basil, and walnuts instead of pine nuts.